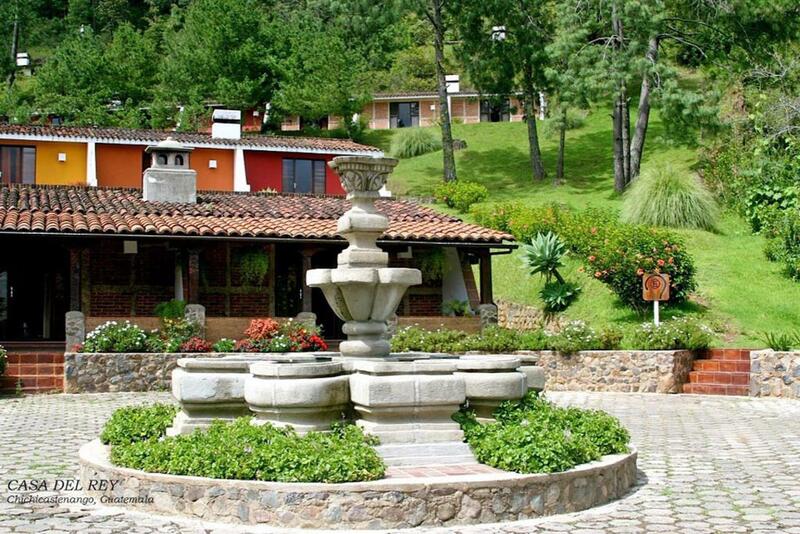 Hotel Casa del Rey is located in the small town of Chichicastenango. The hotel overlooks the market and has a swimming pool and restaurant. Chichicastenango is famous for its market. Set within the mountainous Western Highlands, this town has a traditional culture that can be best seen during its twice-weekly market. The market has become increasingly touristy in recent years, but is still fairly authentic and offers travelers a good place to purchase handicrafts. The other main attraction, the Santo Tomás church, is right across the street. 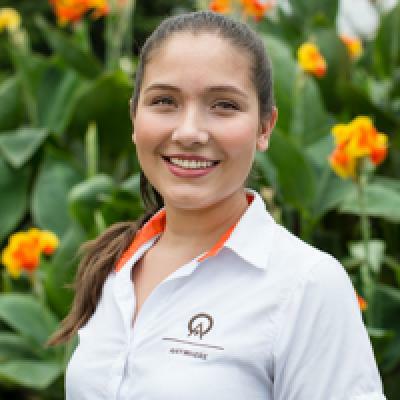 Hotel Casa del Rey is located on an 18-acre (7-ha) piece of property that overlooks the Guatemalan highlands and the Chichicastenango market. It’s set on the outskirts of town, about 1.5 miles (2 km) from the market. The rooms extend around a building with exposed brick walls. Flowering plants and a nicely manicured lawn border the walkways and make the hotel feel tropical and relaxed. The hotel offers both standard rooms and deluxe suites. The accommodations are decorated simply but with bright Guatemalan paintings and fabrics. All rooms have a private bathroom and hot water shower, as well as a TV. Some have nice views of the town below. The suites are larger and feature a spacious living room, fireplace, and private porch. The fireplace is a nice addition, especially when the temperature starts to dip at night. Sitting on your porch in the morning is extremely pleasant. The hotel runs a full service restaurant and bar. The restaurant serves both national and international meals and has big windows and a great view. During the evening guests can relax in the lounge, which has comfortable fireside seating. When the days get warmer, guests can take a dip in the hotel’s large swimming pool to cool off. A waterfall flows into the pool, and there is a separate children’s pool as well. A Jacuzzi offers up an ideal place to warm up and relax in the evening. Casa del Rey also has 5 conference rooms that guests are invited to use. The meeting rooms can hold up to 600 people. Casa del Rey is an ideal setting for groups or mission teams that are working in the nearby area.